With over 40 years of experience in technical recruitment, SimSTAFF provides skilled and talented professionals in a wide range of technology fields, including simulation, engineering, software development, gaming, and more. Whether you are a small start-up, mid-level business, large corporation, or government agency in Salt Lake City, look to SimSTAFF to fulfill all your staffing needs. 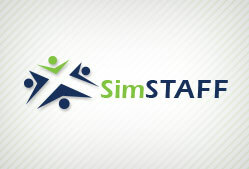 At SimSTAFF, we take pride in creating a lasting bond with employers and employees, as our screening process involves selecting the candidate not only based on their technical qualifications, but also based on the personal characteristics of the employee, and whether he or she will fit into the culture and environment of the company. SimSTAFF has been able to produce the most qualified professionals through their unique hiring and recruiting process which was established from years of simulation training and technology staffing experience. These strategies are tailor made to suit each and every requirement of the employer which ensures we connect them with the best person for the job. Our team of recruiting experts have far reaching contacts throughout the State of Utah and beyond. Our team knows the industry and the culture associated with each technology field we recruit for which helps us identify candidates that are highly skilled and a good fit for your company’s environment. Contact SimSTAFF for all your Simulation training and technical staffing needs, including Direct Hire, Contract-To-Hire, seasonal, temporary and immediate staffing. Our team is always reachable via email, phone or text to respond to you right away with any queries you may have. Call us at 407-965-2596 and get started today.